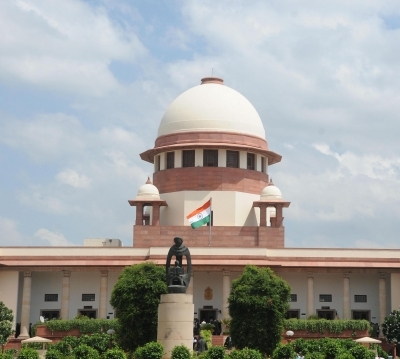 New Delhi, Feb 13 (IANS) The Supreme Court on Wednesday reserved judgment on the contempt petitions filed by Ericsson AB against Reliance Communications and its Chairman Anil Ambani, who was present in the court for the second day. The contempt petitions were filed against Anil Ambani and RCom for failing to clear Rs 550 crore dues to Ericsson. Senior Advocate Dushyant Dave, appearing for Ericsson, argued that the court had ordered RCom to pay the amount by September 30 and their failure to pay despite extensions constituted contempt of the top court's order. "The contempt was wilful," he told a bench comprising Justice Rohinton Nariman and Justice Vineet Saran. Defending Anil Ambani, senior advocate Mukul Rohatgi said the undertaking to pay dues was subject to the spectrum sale deal between RCom and Reliance Jio going through. Despite best efforts to get permissions to sell the assets to Jio, the deal could not go through due to failure to secure a no-objection certificate from the Department of Telecommunications (DoT), said Rohatgi. "We could manage only Rs 780 crore in the sale with Jio, which was routed to the DoT through lenders to avoid cancellations of the licences," Rohatgi said. He contended there could not be any vicarious liability in this case to Ambani as there was no personal undertaking. "There is no personal undertaking. It's a listed company. The dues of a listed company cannot be paid by an individual," he said.